Empty Through Empty Space by Jeremy Wilson Former Dharma Bums/Pilot front man Jeremy Wilson and two core band mates - Dylan-Thomas Vance (lap slide guitar, backing vocals) and Matthew Rotchford (upright and electric bass, backing vocals) - deliver Empty Through Empty Space, a collection of twelve songs that find the three realizing a beautiful new sound. It is also a concept record based on a 3600 mile road trip Jeremy took after heartbreak’ and reveals an internal journey on the path back home. Featuring guest appearances by Decemberists' (and former Dharma Bum) John Moen on drums and Jenny Conlee-Drizos on Hammond organ, plus Ezra Holbrook on drums and percussion, Luke Strahota on drums, recording engineer and producer Sean Flora also on guitar and backing vocals, Paul Brainard on trumpet, Matt Brown on euphonium, and several other friends to help flesh out the album, Wilson pulled out all the stops to help bring the record to fruition. The album even features all four Dharma Bums members - Wilson (guitar, vocals), Jim Talstra (bass), John Moen (drums), and Eric Lovre (electric guitar) - on the track "I Can't Bury You." 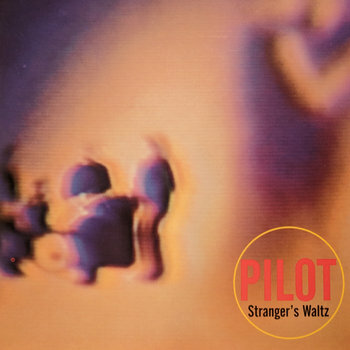 Pilot's Stranger's Waltz proves that there was a lot more bubbling under the musical landscape in the Pacific Northwest than Nirvana and Mudhoney. Take the time to scrape back the husks of the grunge scene and the mountains will easily give up their secrets -- and talent. Fronted by Dharma Bums' Jeremy Wilson, Pilot produced an exciting and organic blend of folk, rock, and pop -- all big sounds shot straight from the heart which, when combined with catchy melodic hooks, turned into something extraordinarily special. This entire album was recorded very simply -- one song a session -- and the results are easy on both the soul and ears across songs of love and lament. It thrashes enough to boil the blood, yet becomes quiet when necessary to pull emotion through melody in order to make a point. "Indigo Bleeds the Sun" paints a Dylan-esque picture of life under an endless veil of gray skies, while the rolling rhythm and travel-weary vocals within "West Texas Wind" aurally convey a vivid visual portrait. "600 Miles," meanwhile, packed with crunchy noise layered behind an acoustic guitar, was the band's take on the Proclaimers' "500 Miles" -- and Pilot's version not only pushed the Proclaimers' completely out of the frame, but also perpetuated the time-old tradition of reinventing the folk song. The songs on Stranger's Waltz meld to create one gargantuan tale, but they also stand beautifully on their own. From first to last, Pilot has given their audience something which feels like home, big skies, and a lover's arms all at the same time. The songs are timeless, not confined to genre or trend. And how many albums are there which make you want to get into the car and just drive?